The GAA’s answer to the X-Factor is coming to Arklow this weekend!! The Leinster Semi-finals are going to be held in St. Mary’s Hall in Arklow on Sunday the 13th of December at 2pm. 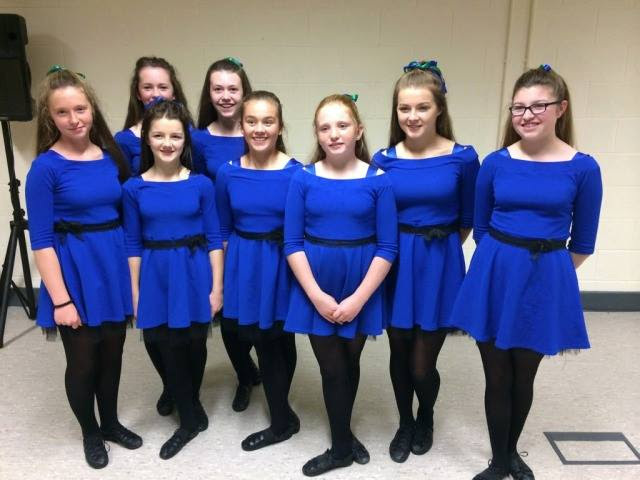 The AGB Dance troupe will represent Wicklow, having won the title of County Champions already this year. This is the 3rd year in a row that these girls have achieved the County title. Come along and support the dancers, Meadbh Ní Chonchubhair, Muireann Ní Chonchubhair, Caoimhe Ní Chonchúir, Aine Ní Chonchúir, Ciara Nic an Bháird, Emma Ní Mhurchú, Catherine Moyseyeva and Caoimhe Ní Neill, at the Scór na nÓg Leinster Semi-finals in their efforts to get to the Leinster Final.Scór is a GAA competition that was established by the GAA in 1969 with the aim of promoting Ireland’s traditional pastimes and culture. There are eight events/disciplines in Scór that cover all aspects of Irish culture: Figure/Céilí Dancing, Solo Singing, Instrumental Music, Recitation/Scéalaíocht, Ballad Group, Novelty Act, Question Time and Set Dancing. Scór na nÓg – 30ú Eanáir, 2016 – INEC, Cill Áirne, Co. Chiarraí. Scór Sinsir – 2ú Aibreán, 2016 – INEC, Cill Áirne, Co. Chiarraí. Please contact Kathryn Noone at 086 8664931 or [email protected]yahoo.co.uk for further information on Scór.